Cotswolds Distillery, Ian Macleod, Indie Brands, Lakes Distillery, Mackmyra and Maverick Drinks poured a range of exciting whiskies, while Fever-Tree showed off the category’s potential as a base for long drinks. 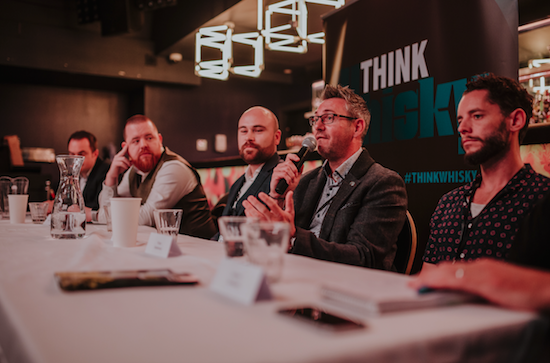 Tristan Stephenson hosted a masterclass on innovation in whisky communication, Alice Lascelles presented a taste of things to come in the category and Eoin O’Neill waxed lyrical about the rise and fall and rise again of Irish whiskey. 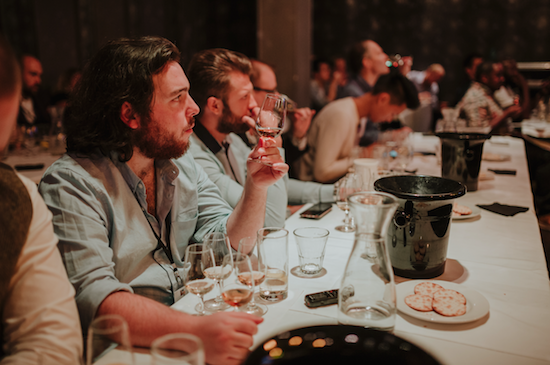 Buyers from the likes of Waitrose, Majestic, Master of Malt and Selfridges were joined by dozens of independent spirits merchants, bartenders, hotel buyers, wholesalers and journalists, who gathered to taste, learn and champion this vibrant category. For a morning debate we gathered together a formidable panel to discuss the potential to broaden whisk(e)y’s appeal and help it to win over a wider demographic. It included Archie McDiarmid, manager of Luvians bottle shop in St Andrews; Waitrose spirits buyer John Vine; Joe Boxall, bars manager at whisky specialist Boisdale; and Tristan Stephenson, owner of Black Rock whisky bar in Shoreditch and the whisky subscription service Whisky-Me, and a consultant to Lidl on its spirits range. We asked how to compose the perfect range, what role each-sub-category can play, where the innovation is coming from, which brands are driving the industry forward in exciting new directions, how the industry can use more approachable language and communicate more effectively with consumers, how to win over female drinkers and what the various factions of the trade can learn from one another. “If our shop didn’t appeal to female consumers and younger consumers for six to seven months a year it would die,” says McDiarmid. “St Andrew’s is driven by two things: golf and the university. The golf is great from April to October, but that’s it. Appealing to the student demographic is really important, and the biggest lesson that we’ve taken away is you’ve got to get whisky in a glass in front of people. The categories that do that best are the ones that perform best for us. A bottle of whisk(e)y represents a significant investment, and many consumers are put off because they find it intimidating, are daunted by its fragmentary nature or are afraid they will not like the taste. Waitrose is in the process of overhauling its offering to make the category easier to shop. “I am looking at re-categorising the whisky category to make it a bit simpler for customers,” says Vine. “The main way of doing that is by flavour. We have a flavour wheel on our website and we are looking at how we range that in store as well to make it easier to shop. Most outlets range whisk(e)y by country, region, brand and expression, but there is a case to be made for ranging by flavour instead. “We do our ranging by flavour at Black Rock and we think it’s an excellent way of doing things,” says Stephenson. “Arranging whisky by country, then region, then distillery, then expression is great for the librarian role of the bartender, but from a consumer point of view it’s a nightmare. We arrange things by six different flavour groups. We have, on occasion, Irish whiskey sat next to Japanese sat next to blends, just because they taste similar, or have a similar overarching flavour theme. We also arrange by lightness and heaviness. Boisdale has four popular whisky bars across London and it adopts the traditional way of ranging the category. “We do it by country of origin, region and distillery,” says Boxall. “The main thing for us is getting somebody in a position to talk to the guests and give them little nips, to make them more comfortable in the environment and to give them an experience. That is also a tactic that has worked well for Luvians. “In our masterclasses we try to reassure people,” says McDiarmid. “The most important palate in any room is always your own. Your sense of taste is as unique to you as your fingerprint. It’s made up of all your life experiences, all your positive and negative feelings about various events in your life. It’s a combination of sense and memory in a way that nothing else is. If you think something tastes of something, you are right, no matter what I or anyone else can tell you. Our tasting notes are all very personal and we sign all of them. Gin has enjoyed phenomenal growth in recent years thanks to the popularity of the gin and tonic, and McDiarmid believes whisk(e)y and ginger ale could become similarly popular if the trade champions it, thus driving growth in the category.